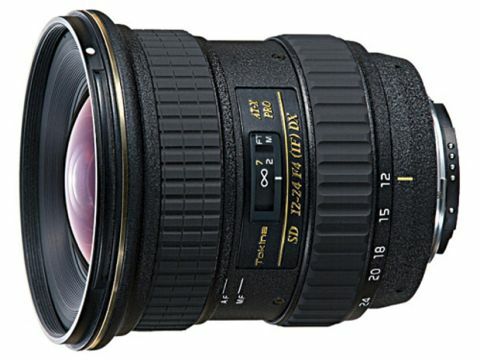 Taking the middle ground between budget and most own-brand lenses, the Tokina 12-24mm looks good value for the money. The 'one-touch' focus clutch system enables AF or manual focus to be selected by nudging the focus ring forwards or backwards to engage it. It's handy but not as good as the automatic overrides featured on lenses from Canon, Nikon and Sigma. In this case, a millimetre is noticeable, as the angle of view was noticeably smaller with the Tokina than with rival lenses. Image quality proved adequate, with reasonable sharpness everywhere but the extreme corners. Vignetting was more of a problem than with other lenses; we had to move down two stops to get rid of it.